For those who want to build a small wooden house on one floor, profiled timber is the most popular option. 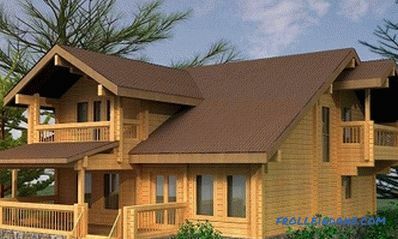 Profiled timber houses are very popular due to their relatively low costs and ease of construction. Building a house from a profiled bar must be done according to a certain technology. Only in this case will it be possible to extract the maximum of pluses from the building material and minimize the manifestation of its minuses. Scheme of shallow strip foundations. When erecting a structure, it is required to adhere to a certain sequence. First of all, the foundation is laid. It is not necessary to make it very durable and reliable, you can get by with more economical options, since the load exerted on the foundation by a bar is small. 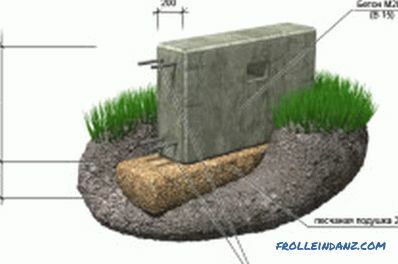 You can lay a shallow ribbon or bored foundation. A row of timber on the perimeter of the house is called a crown. Particular attention should be paid to the laying of the first crown, since in the future it may become a weak point of the whole building. The lower crown will be most affected by moisture due to its proximity to the foundation and the ground. Before laying the first crown, it is required to lay a layer of waterproofing between it and the foundation. For this purpose, you can use a double layer of roofing material or bitumen mastic. A lining bar is installed on top of the waterproofing. 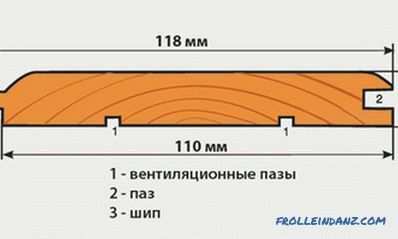 Preference should be given to larch timber. This material is most resistant to rotting. However, treatment with antiseptic, even in this case is necessary. Connection options for profiled beam. After completing the preparation, the lower crown can be laid. For it is used timber, in which only the upper side is profiled. Horizontal surfaces of the material are necessarily treated with an antiseptic. When it dries, you need to put a layer of sealant on the timber (jute fiber is best suited). Beams of the ceiling of the house from the profiled timber can be cut into the lower crown, however, the variant with their support on the foundation grill is more preferable. In the latter case, if a rot occurs in the lower crown, it will be easier to replace it. 2 lower crowns are recommended to be laid from larch timber. Before starting to build a house from a profiled bar, it is necessary to process all surfaces of the bar, which after its installation will be inaccessible. Those parts of the material that can be coated with the composition after laying are not immediately required to be processed. Pretreatment is recommended immediately prior to assembly. Jute compactor reduces wall flow. For some types of lumber, it is enough to lay the corner joints for them, and some require compaction along the entire seam. Thickness of 5 mm is enough. 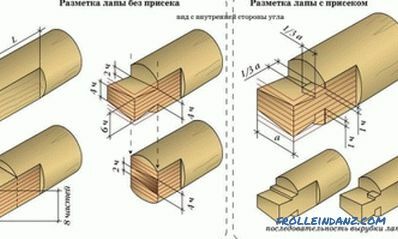 If the humidity of the timber is higher than 20%, then it is necessary to use its fastening with pegs. This will prevent the bar from turning out during drying and the appearance of cracks between the crowns. This type of fastener is an elongated spike. Its cross section can be both round and square. 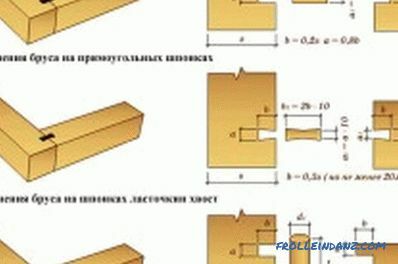 In the manufacture of dowels can be used wood, plastic or metal. To build a house of profiled timber, you need to use wooden pins. The scheme of connecting the bars using the dowel. Only 2 beams can be joined with one dowel. The maximum distance between the dowels can be 1.5 m. They are placed in a checkerboard pattern. It is recommended to use dowels, the humidity of which is approximately equal to the humidity of the timber. Holes for fasteners are drilled in a vertical position. The depth should be equal to 1.5 bar. It is necessary to drill holes whose diameter will exactly match the dowels. Holes can be of a larger diameter, but not more than 1 mm. Nagel should be 2-3 cm shorter than the depth of the hole. 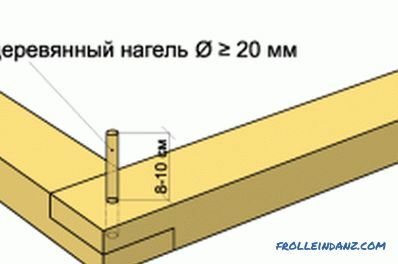 It is strictly forbidden to use nails to fix the profiled bar. Openings in the walls under the windows and doors can be provided in the elements in advance when ordering a special housing set. If they are not taken into account immediately, then they can be cut in the walls after laying the timber. Door frames are installed on the lower crown, and window - at the required level. To compensate for further shrinkage at home, a gap of at least 5 cm should be left above the box. Fastening is performed on the entire face. When using natural moisture for construction of a material, it is necessary to build a temporary roof over the house, which will provide its protection from precipitation. After that, any work on the house is stopped for 6-12 months, which are necessary for shrinkage at home. 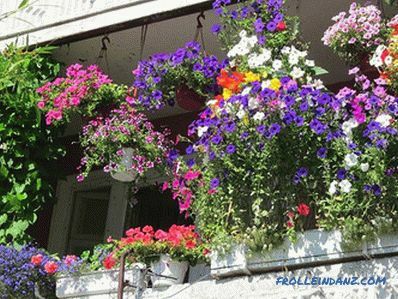 Only after this period, you can begin decorating the house. The degree of shrinkage at home depends on the difference between the initial and final moisture content of the wood material. 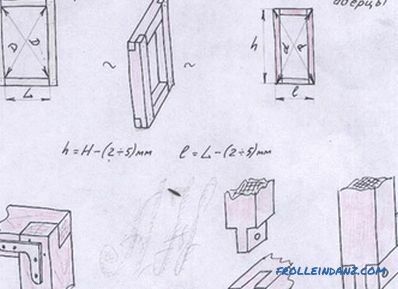 Exact values ​​for different types of wood can be obtained from GOST 6782. 1-75 "Softwood lumber. Shrinkage value". Avoid severe deformation when using a bar of natural moisture can be in the case, if you perform the assembly in the winter. In this case, the lumber will be dried gradually under milder conditions. Deformation also does not threaten the dry timber. Work with him will be greatly simplified. Thus, building a house from a profiled bar requires certain rules to be fulfilled, since the material is rather capricious. It should take into account its shrinkage and acceptable methods of fastening.